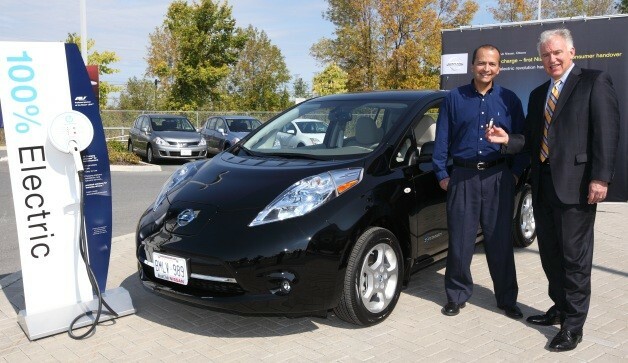 What's the percentage of Canadian buyers that could benefit financially from choosing to go electric instead of relying on old internal combustion? Well, somewhere between 20 and 40 percent. According to the numbers presented by Matthew Stevens, head of automotive consulting firm CrossChasm Technologies, 20 percent of Canadian drivers would save money if they opted for an electric-only vehicle over a combustion-engined auto. That percentage doubles when they choose a plug-in hybrid instead of a purely fossil-fueled vehicle. The figures are rough, admits Stevens, and would change if gasoline prices rise or the cost of electric vehicle technology falls. Furthermore, Stevens notes that the numbers are accurate "if you adhere to the cycles. Most people don't." Here's how Stevens computed the data: FleetCarma, a division of CrossChasm, tested 190 vehicles. Each vehicle was driven for two days. A data logger recorded fuel or energy consumption and emissions. Those numbers, combined with the vehicle's purchase price and operating costs, along with fuel prices and other data, were used to determine the financial impact of each tested automobile.